Rome wasn’t built in a day, and neither was my debut thriller, “Hell City.” The Rap Sheet just published the story behind the novel. It’s all about how a boy with a car made of kitchen chairs drove around the world in his mind, then took his imagination on the road of life, steering it through stints as a poet, a newspaper reporter, a musician and, finally, a novelist. 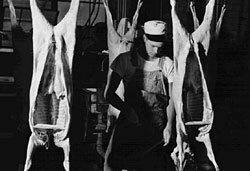 Along the way, I worked in the city’s warehouses, drove her cabs, wrote for her newspapers, and sang in her nightclubs. Her underbelly was my beat, forging a gritty, cinematic prose style. 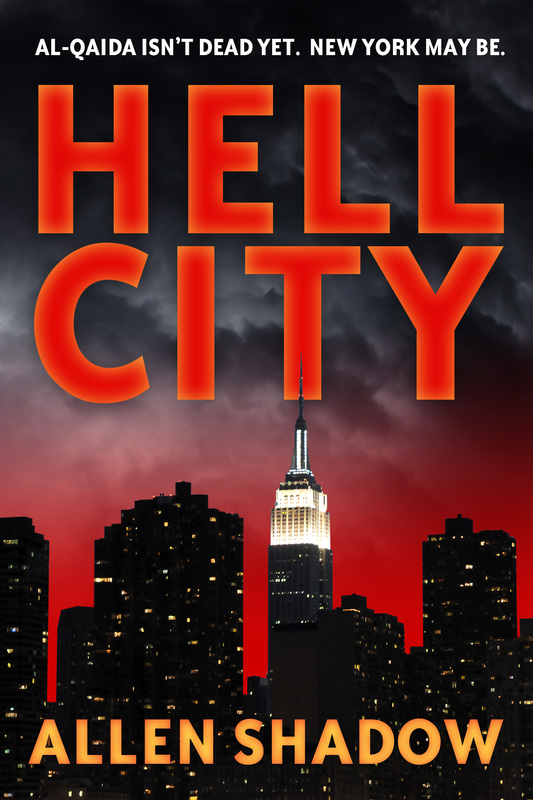 Note: as part of a special promotion, my novel, “Hell City” can be downloaded free from the Kindle Store on Nov. 14 and 15 only. The date is Oct. 17. Just visit the page anytime that day and click. And if you don’t have a Kindle, no problemo. Amazon offers a free reader app you can download for your PC or Mac. You can also read it on an iPad, an iPhone or a Droid. I couldn’t put this down. I totally got into the characters, Jack and Annette. If this is his first novel, definitely can’t wait for his second. The attack on the United States mission in Benghazi, Libya, that killed Ambassador J. Christopher Stevens has set off a new debate here and across the Middle East about whether Al Qaeda has been reinvigorated amid the chaos of the Arab Spring or instead merely lives on as a kind of useful boogeyman, scapegoat or foil. There’s a great debate going on in Washington and the Middle East over whether al-Qaida (I use the AP-style spelling) is operational or whether newer insurgent groups are simply deploying its terrifying brand. That’s kind of where the term al-Qaida 2.0 comes from. 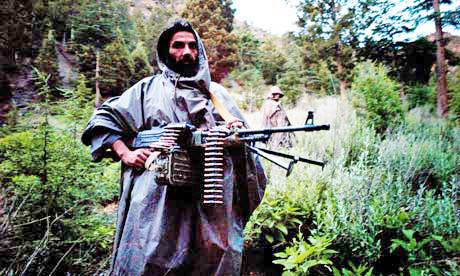 One thing is certain: there is no shortage of entrenched, sophisticated insurgent groups, the Haqqani clan in the Af-Pak region being one of the most dangerous. They have been responsible for most of the attacks on embassies in the region and many attacks on our troupes. 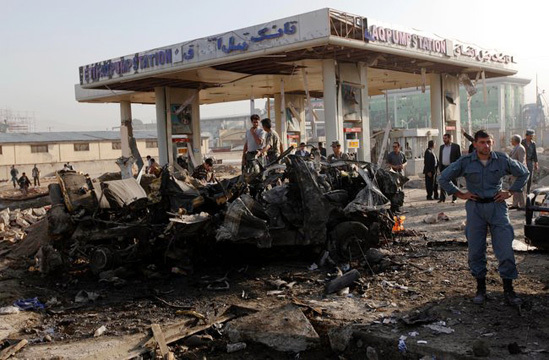 It’s possible they are behind the recent deadly bombing in Kabul, another protestation over the Youtube-posted film under the name of “Innocence of Muslims,” although so far a branch of the insurgent group Hezb-i-Islami has claimed responsibility. Consider this: it was the Kabul bombing, taken together with the other attacks across some 40 cities in the Middle East and North Africa, that led the U.S-led coalition to curtail operations with Afghan security forces, the very core of what remains of our mission in Afghanistan. Talk about decimation. Man, what do we have left? So, the idea that organized, sophisticated insurgency, jihad, has somehow been defanged in the Middle East and beyond is simply nuts. The entire region is on fire and is coming apart at the seams. Which brings me to the plot of “Hell City.” As the protagonist, counterterrorism commander Jack Oldham, believes: “Al-Qaida isn’t dead — yet!” What Jack believes is that we can’t go to sleep on the “new gen” al-Qaida as he and his comrades call it, which is why they track American-born insurgents and their connections to various groups in Af-Pak and Yemen. Among them, by the way, is a fictionalized version of the Haqqani tribe. Can the reconstituted Qaida pull off another “big one” in New York? Well, that’s what reading (click for Kindle page) is all about. The novel casts the group as part of a metastasizing al-Qaida that is bent on pulling off another “big one” in New York. Fiction aside, the thriller is a wake-up call on the true threat of al-Qaida and its affiliates in the post-bin Laden world. Think organized crime. You cripple the New York Mafia and the Russians, the Jheri Curls (Dominican), the Latin Kings and other, fiercer groups, take over the town. The Haqqanis are entrenched, widespread, connected and virulent. They’ve been behind many of the recent attacks on our troops and diplomats in the Af-Pak region. Let’s face it. The guy on the subway figures al-Qaida is broken, and he can’t keep up with the parade of threats and new groups. So he turns off, goes to sleep. To Jack Oldham, the protagonist of “Hell City,” sleep is the enemy. The vigilant commander on New York’s Joint Terrorism Task Force never forgot how the country went into hibernation soon after the first attack on the World Trade Center, in 1993. But the city had come a long way. In her own rugged fashion, she had gone from Trade Center trauma to annoyed indifference, her alligator skin shielded against the seemingly endless terror alerts and aborted plots of the new-gen jihad of the day. The first attack on the towers rocked the city to its core, but it was soon seen as a botched plot by militants who couldn’t shoot straight. They were viewed through the short-range, next-quarter glasses of the West — What? A blind cleric operating out of some storefront mosque in Jersey? Boneheads with names so long they blurred comprehension. What’s this? The Three Stooges? You gotta be kidding me. Now, with bin-Laden — and other al-Qaida leaders — dead, our country is lulled into thinking that all the insurgents can manage stateside is the one-off, the lone-wolf attack. The airline bomber over Detroit. The Times Square bomber. But they’re not looking deeper into the landscape of insurgency. Yemen and other African nations have become hotbeds of development for insurgent groups. And then there are the Haqqanis. They’ve been operating with impunity, deep and wide and under the radar — for a generation. Yes, it’s fiction, but my first novel, the thriller “Hell City,” just may foreshadow al-Qaida’s ability to pull off another “big one.” The book just might sound a wake-up call for a city (New York) and a country that largely has gone to sleep on the issue? “A striking read that will leave you looking around the corner in fear,” writes Kirkus Reviews in a review of the novel. A news release, announcing the 9/11 release date, went out yesterday nationwide. Terrifying as today’s headlines, “Hell City” tumbles Gotham toward devastation yet again as it tracks the newest breed of jihadists bent on a major attack. Beginning on the 11th anniversary of 9/11, the e-book edition of the novel will be available exclusively on Amazon Kindle. For now, I’m pricing the e-book at $0.99, to encourage new readers. I will post regularly here on the novel — its backstory, its genesis, its characters. You can also “like” me on Facebook and follow me on Twitter for the latest news.